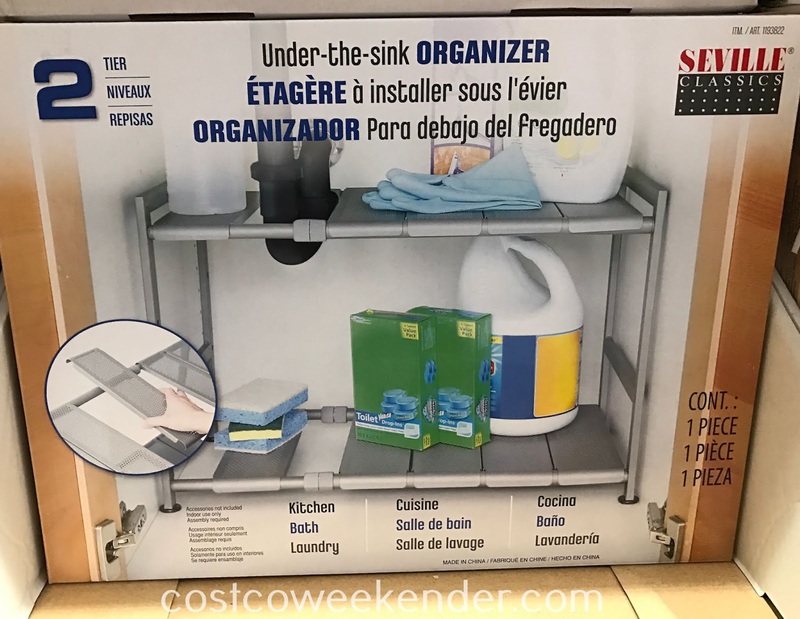 People don't really think about organization when it comes to underneath the kitchen or bathroom sink. Sure, there's normally a cabinets underneath so we just put common items in there like dishwashing soap, extra sponges, cleaners, extra garbage bags, etc. And before you know it, the cabinet is so full that you end up stacking containers on top of one another. Instead of doing that, why not consider the Seville Classics 2-Tier Under-the-Sink Organizer from Costco. 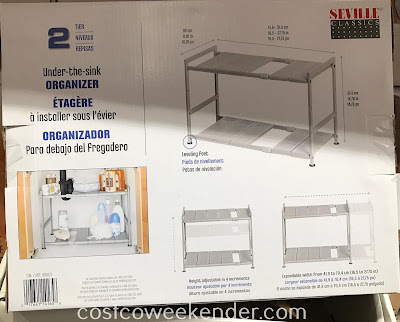 You can almost double the amount of space you have with this organizer. 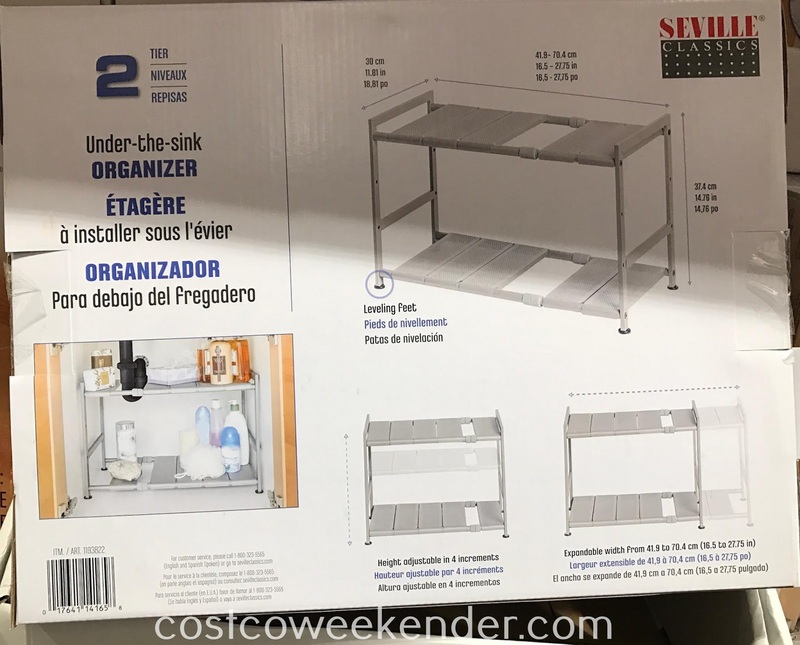 If you have tall containers, then no problem since the Seville Classics 2-Tier Under-the-Sink Organizer has 10 adjustable/removable panels. This is also great to accommodate pipes underneath the sink. 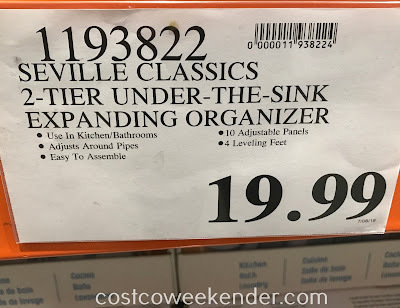 So add more space where you need it with the Seville Classics 2-Tier Under-the-Sink Organizer. Expandable width from 16.5" to 27.75"